Summary: We are several generations of warfare from that of Clausewitz. His first-generation warfare differs immeasurably from ours, in which atomic weapons limit State-to-State conflict and 4th generation warfare has become the dominate form of conflict. But many of the essentials of war are timeless, so its worthwhile to mine the classics for lessons to help us today. Here we look at one such effort. Reviewed by J. Alex Vohr. Originally published in the Marine Corps Gazette, March 2009. Republished here with their generous permission. While primarily a naval historian, Dr. Sumidas decade-long foray into Clausewitz has resulted in a book uncovering issues significant to those whose professional interests involve either the formulation of our national military strategy or the professional education and development of military officers. Current prevailing wisdom holds that Clausewitz was concerned only with nation-state warfare, and modern military theorists like General Sir Rupert Smith, in his book, The Utility of Force (Vintage, 2008, reviewed in the August 2007 Gazette), have asserted that the Western world has seen the end of these types of conflicts. Dr. Jon Sumida is the author of the latest scholarly effort focused on understanding the difficult theorist of war, Carl von Clausewitz, and his work, On War. Decoding Clausewitz: A New Approach to On War provides a critical and potentially controversial, in-depth insight into the work of one of the most influential minds of the Western world. While primarily a naval historian, Dr. Sumida’s decade-long foray into Clausewitz has resulted in a book uncovering issues significant to those whose professional interests involve either the formulation of our national military strategy or the professional education and development of military officers. Clausewitz’s On War heavily influenced the foundation of our military doctrine beginning in the post-Vietnam era and continuing until 11 September 2001 (9/11). In the wake of the wars resulting directly from 9/11, our doctrine writers and our professional military education institutions have largely abandoned serious consideration and study of On War. Current prevailing wisdom holds that Clausewitz was concerned only with nation-state warfare, and modern military theorists like General Sir Rupert Smith, in his book, The Utility of Force (reviewed in the August 2007 Gazette), have asserted that the Western world has seen the end of these types of conflicts. Dr. Sumida, in his treatment of Clausewitz, simply invalidates these arguments. His highly credible intellectual efforts should resonate powerfully among those responsible for guiding our future through the development of national military strategy. In Decoding Clausewitz, the author challenges a common understanding of On War as an unfinished text. Dr. Sumida views the text as a complete work at publication in which Clausewitz expresses fully supported arguments as opposed to what has before been viewed as a collection of incomplete thoughts. He furthermore challenges conventional wisdom of On War as a work describing the nature of war, arguing instead it is a theory of practice written for the practical reasons of illuminating the education of a nation’s military leadership. Due to war’s nonlinear and unstable nature, Dr. Sumida suggests Clausewitz recognized no potential for a truly satisfactory theory for war. 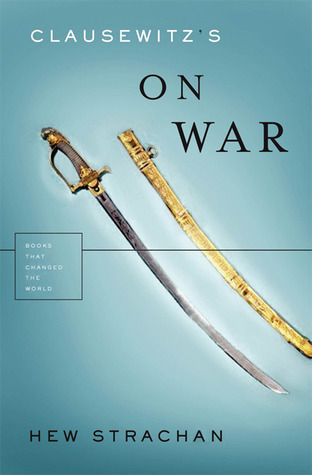 On War, Sumida argues, is not a book for understanding the phenomenon of war, but instead is a text in which Clausewitz presents two significant ideas. Clausewitz’s first assertion is that the defense is the strongest form of war. His second involves the combined use of history and theory for the study of war to inform the intuitive decision-making skills of military leaders. Dr. Sumida focuses first on Clausewitz’s description of the relationship between the studies of history combined with the use of military theory to educate military officers. Sumida argues that Clausewitz understood history alone to be a flawed vehicle for understanding war. The most important insights into the psychology and decision-making of the commander were omitted in any historical effort to capture the chronological chain of events. Clausewitz, Dr. Sumida argues, a man who had thought long and hard about military education as a disciple of Scharnhorst and who had been a firsthand witness to the military genius of Napoleon, wrote of the combined use of history and a theory for the practice of war to provide experience for officers through reenactment. Sumida argues that On War was not written to be a description of the phenomenon of war, but instead provides a theory for the practice of war to fill historical gaps through surmise into the thoughts of the commander for the use of students of war. This insight into the use of history and theory for the education of officers is profound and maintains as much relevance for military professionals today as it did when On War was written. Dr. Sumida focuses on Clausewitz’s prescription, not for war itself, but for informing, honing, and educating the intuitive decision-making capabilities of military commanders. In the past, and as will hold true in the chaotic future, the intuitive skills of the commander are the single most critical factor for success in war. The commander with the best intuitive feel for the battlefield will make the best decisions, no matter the character of war or the national status of the actors engaged. The second major idea from On War identified by Dr. Sumida is the idea that, from a strategic perspective, the defense is the strongest form of war. Building on his original assertion that Clausewitz produced a complete work, and leveraging an understanding of Clausewitz’s personal experienced bases schema, Dr. Sumida argues that Clausewitz’s discussions of people’s war, absolute war, and limited war all build upon the foundation of the defense as the strongest form of war. Again, as with Sumidas description of Clausewitz’s use of historical reenactment, these ideas hold significant relevance in the security environment of our modern world. Dr. Sumidas assertions regarding Clausewitz’s insight are stunningly relevant today and should be carefully considered by those framing our national strategy for the long war. This is critical especially in relationship to topics such as preemption and our understanding of enemy employed concepts, such as offensive and defensive jihad. Decoding Clausewitz bears the credibility of many years of scholarly effort. Dr. Sumida devotes his first chapter to comparing On War to the works of other military theorists to include Jomini, Corbett, and Liddell Hart, only one of whom was an advocate of Clausewitz’s ideas. He carefully explains their perspectives and in a balanced approach identifies their most significant influences. Dr. Sumidas second chapter examines the ideas of other contemporary Clausewitzian scholars, carefully chronicling their personal backgrounds and major arguments in contrast with his own. He searches for congruence in the independent thoughts of scholars while identifying concepts and ideas he considers to be inaccurate interpretations. These chapters clearly reflect the depth of Dr. Sumidas scholarly research and analysis underwriting the credibility of his total work. 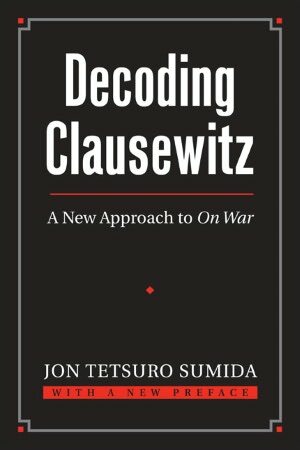 In a chapter labeled “Antecedents and Anticipations,” Dr. Sumida examines Clausewitz himself from the perspective of his personal history in an effort to illuminate the many factors brought to bear in the writing of On War. 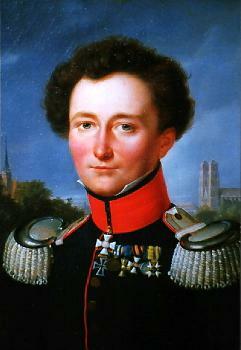 Clausewitz is rightfully depicted as a man with unprecedented experience with war. He is shown as a soldier from an early age participating in and shaped by some of the most significant conflicts and battles of his age. His personal political challenges, coloring his perspective, come to light. Also communicated are his experiences with the great military educator Scharnhorst as well as his personal observations of the military genius of Napoleon. This chapter further examines and concludes with Clausewitz’s thoughts in light of the influence of both philosophy and science. The book’s final chapter synthesizes Dr. Sumidas arguments regarding military education and the superiority of the defense. He carefully examines and cites On War as a complete text linking passage after passage to support his assertions. He demonstrates the coherence of On War as the life’s work of a man who knew war intimately and who spent an intellectual lifetime working to develop ideas that would be of practical use to preparing his nation for war. In this chapter Dr. Sumida provides previously unexpressed clarity into On War. He organizes for the reader ideas previously incomplete or without context. Through his efforts and without oversimplification, Dr. Sumida has made a complete understanding of Clausewitz’s idea accessible, contrasting conventional understanding gained through past scholarship. Dr. Sumidas objective in writing his book was to “make Clausewitz accessible to general readers and military professionals alike in a form that does justice to its coherence, originality, and power to provoke insight.” Decoding Clausewitz readily accomplishes this goal. The book sheds new light on On War, a text that is most relevant today as our political and military leadership attempt to make sense of the strategic context. Dr. Sumidas discussion of military genius, decision-making during wartime, and the relationship between history and theory in military education is profound. His ideas reflect a synthesis of the philosophy underpinning the founding of, among other institutions, the Marine Corps University. This book is a new must-read for national strategists and anyone who strives to be a serious student of war. Jon Tetsuro Sumida currently is a visiting lecturer at the U. S. Marine Corps School of Advanced Warfighting at Quantico, Virginia, and an Associate Professor of History at the University of Maryland, College Park. He also has published 25 major articles. Three won Moncado Prizes from the Society of Military History, plus Naval History Author of the Year from the U.S. Naval Institute. Lieutenant Colonel J. Alex Vohr served as the Future Plans Officer, 1st Force Service Support Group, during Operation IRAQI FREEDOM I. From 2004–06 he served as the CO, MEU Service Support Group 31 and participated in Operation AL FAJR. He is currently assigned as the Director, School of Advanced Warfighting, Quantico. To see all posts go to the FM Reference Page Military and Strategic Theory and Practice. Previous Post Sign the petition to require free access to results of taxpayer-funded research! Next Post Ask the mineshaft: how can we use social media to leverage the content on the FM website? If all things are equal and they never are or can be. Clausewitz has an interesting perspective on war in the Napoleonic era. Much of what he (or his wife or Bruhl or his translators) wrote is simple common sense, out dated or even criminal. It’s possible to find support for just about any military idea you care to think about somewhere in On War. This is why it must be ‘decoded”- to come up with the interpretation that confirms your present notions. True in 1800, and true today — as we have painfully learned during our occupations of Iraq and Afghanistan. As foreign armies have learned in dozens of occupations since WWII. For details see section I of this post. I don’t think Smith wrote that we’ve seen the end of inter-state war just that it’s much rarer and unlikely to solve whatever problems the politicians hoped it would. Iraq, Lebanon, Afghanistan all support his point on the declining usefulness of force. Since Clausewitz didn’t know about 24/7 news cycles, the ICC, nuclear weapons or heavy bomber raids on cities I find it difficult to believe that Smith’s position can be somehow invalidated by the writings of someone who considered horse cavalry an essential arm. What is more likely is that non-nuclear inter-state war as a concept is essential for the maintenance of US defence budgets and that the School of Advanced Warfighting largely exists for this possibility. My guess is that Shannon has read neither The Utility of Force nor On War, or if so did not do so carefully. The first paragraph of the Introduction to The Utility of Force gives a powerful explanation of our era, in which 4GW has become the dominant form of war. A measure of Napoleon’s innovations and Clausewitz’s theoretical insights is that they transcended their preindustrial times, largely because neither was concerned with models of war so much as with its essence. “that it’s much rarer and unlikely to solve whatever problems the politicians hoped it would.” is the more important part of my statement.” Your quotes from Smith support this view. I find it odd that one could think Smith believes inter-state war had vanished when the US invaded Iraq while or shortly after he was writing his book. Perhaps he just needs decoding. I respond to direct quotes because we only have your words to respond to, not your thinking. (2) Your false first clause seemed — and seems — more significant, as it directly contradicts the thesis of Smith’s book. “war as a massive deciding event in a dispute in international affairs; such war no longer exists” is the key part of Smith’s conclusion- it is the expected result not the action that has changed. Much of Smith’s book deals with suggestions in how to manage what some call Phase 4 operations. How you get to the point that you need to occupy a hostile country generally starts with inter-state war (with the US over the last generation normally starting the offensive). Yes. Nukes ended the era of large-scale state-to-state war — what Smith calls “industrial war”. Such wars are still possible, but the likely result of mutual destruction — rather than just the enemy’s — ruins the fun. Hence it’s no longer a “deciding event” for conflicts among States with nukes (which is almost any developed nation that wants them). What have more recent strategists say about the relative strength of offense vs. defense? For example, what did the late John Boyd (Colonel, USAF) say? (1) Boyd didn’t use the terms. There are a very few exceptions: “offense” only on chart 106 of Patterns of Conflict and “defense” in the history sections and then three times in the counter-blitz section as part of deception setting up a blitz counter stroke. Not at all in the “theory” sections. (2) Who cares? He’s dead. Think for yourself, like he urges you to from the very beginning of the Discourse. If you find something useful in what he did, grab it. Ditto for Clausewitz, Sun Tzu, Fabius Maximus, etc. Interesting question. Thanks for bringing it up. If only because of great quotes like “War is the province of chance. In no other sphere of human activity must such a margin be left for this intruder. It increases the uncertainty of every circumstance and deranges the course of events” and “There is only one decisive victory: the last,” Clausewitz certainly seems relevant today. “After we have thought out everything carefully in advance and have sought and found without prejudice the most plausible plan, we must not be ready to abandon it at the slightest provocation.” — this kind of sentiment still seems positively revolutionary in the face of America’s early-21st-century Pentagon-powerpoint top-down centralized bureaucratic rule-obsessed 2nd generation mode of warfare: “Pentagon’s Craziest PowerPoint Slide Revealed“, Wired, 13 September 2010.